Monday, July 8, 2013, 6:30 p.m. Written by Christopher Marlowe. Directed by Jenny Lord. Join Cultural Programs of the National Academy of Sciences and the Shakespeare Theatre Company for a free staged reading of Christopher Marlowe's Doctor Faustus. 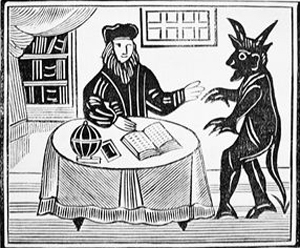 The play, written in 1592, is based on the story of Faust, an alchemist who strikes up a deal with the devil in exchange for knowledge and power. Featuring Andrew Long as Faustus, Eric Hissom as Mephistopheles, Rick Foucheux as the Pope, and Tom Story as Robin.